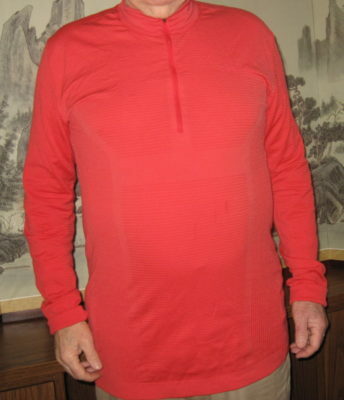 The Craft Drama Wool Comfort Zip M was provided the for review. In March I used the Craft Drama Wool Comfort Zip M during three or four northeasters in the form of snowstorms. There was a lot of nasty weather to be spending outdoors shoveling snow. I also hiked in Harold Parker and went to the gym. I have been to a few indoors activities where the temperature changed a lot from too cold to too hot. To read more please click here. I first backpacked in 2005. In 2011, I learned I had back problems. If I were to continue backpacking, I needed to lighten my load. This is how I found the Hyperlite Mountain Gear Echo II Ultralight Shelter System. My search began for an ultralight tent. 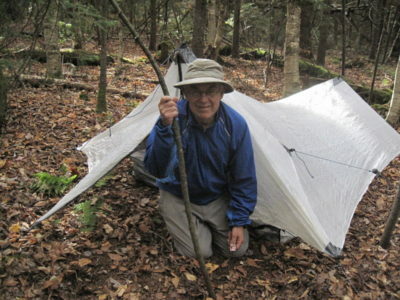 I looked for a double wall tent, 1 or 2 person, under 2 lbs, durable, made in New England. 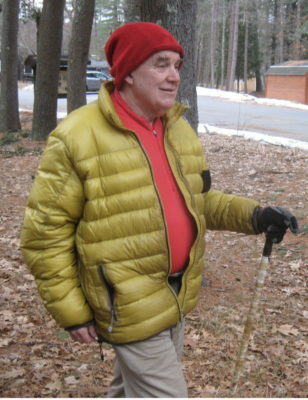 Over the years, I have hiked and camped in many areas of the US and eastern Canada. Through experience I have learned what to desire in a tent design. With that in mind, I also wanted this tent to protect me from insects, including tics, and to be good in high humidity at most temperatures. After a lot of INTERNET researching, I found that Hyperlite Mountain Gear, in Biddeford Maine, designed and manufactured tents. They seemed to have what I was looking for in a tent. Since it was an expensive product, I made a visit to the factory. To read more please chick here. Craft provided the Drama Wool Comfort Zip M for review. In this update on the Craft Drama Wool Comfort Zip M, I explore a warm and cold hike in Harold Parker Forest. I used this first layer to shovel my driveway after a snow strom. I have been to the gym several times for comfort in a gym where it can be cold. How the Comfort Zip M dried after a first wash. I used my washing machine on delicate wash with a low suds detergent. Since I wore silk underwear as the first layer, I washed them at the same time. I hung dried them in the cellar. The silk dried in less than 3 hours and the Drama Wool Comfort Zip M took over 3 hours but less than 4 hours to dry. To read more please click here. 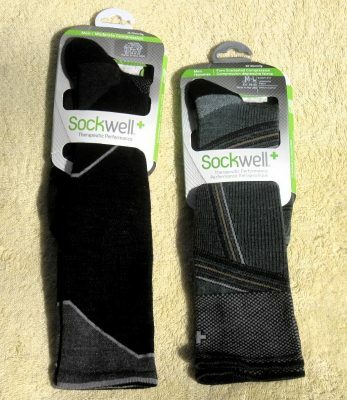 Sockwell provided the men’s Ascend OTC and Summit OTC socks for review. In this last look at the Sockwell Men’s Therapeutic performance socks, we discuss washing and the reduction of swelling in my legs. I have been out on the trail in the cold weather of 15 F and winds up to 20 mph. We get to see differences between these two excellent pairs of socks. I will answer a question asked by an observer on the trail. These socks take longer to put on than regular socks. The method shown on the website is better than any I tried. Removing the socks off also takes a few seconds longer. Taking off the Summit socks takes a little longer than taking off the lower compression Ascend socks. To read more please click here.